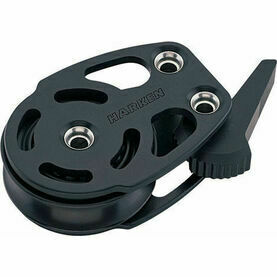 This 75 mm Aluminum Double Footblock Lockoff from Harken has been specifically made to take on the high loads required of running rigging. 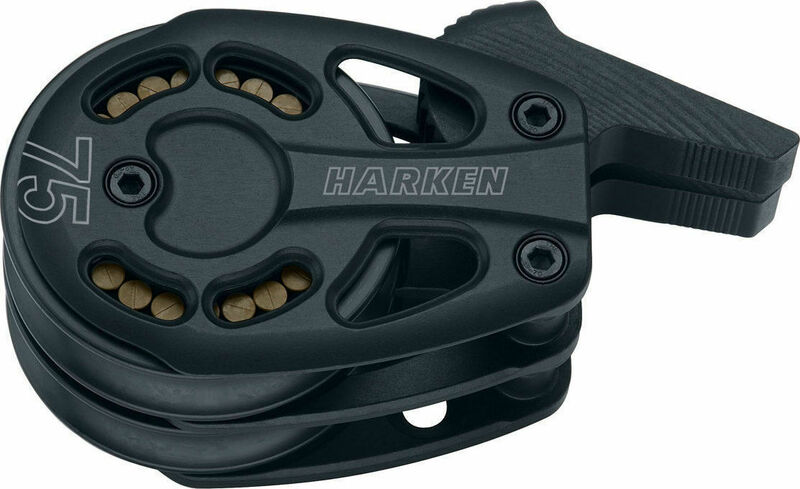 Strong and lightweight, this boat block features Torlon roller bearings, housed in a center cage for even more added protection. 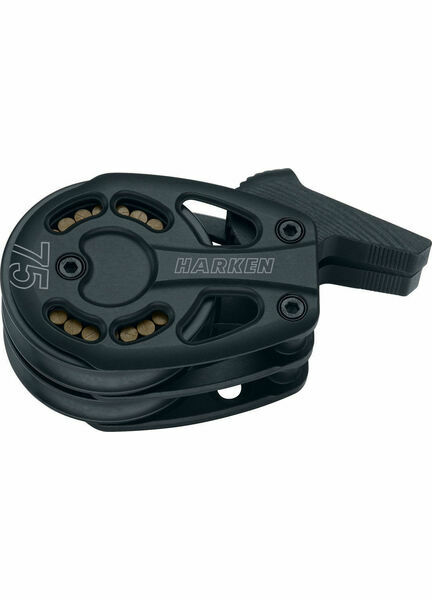 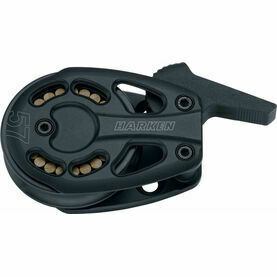 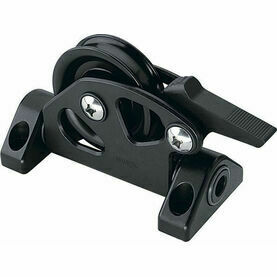 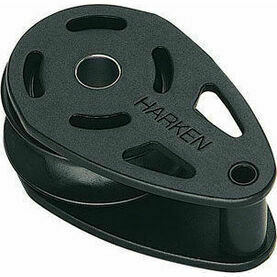 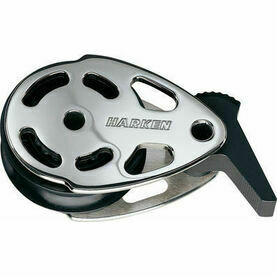 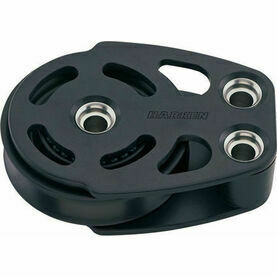 Part of the Harken range of Black Magic Airblocks, this device features a newly redesigned look, with the same performance-heavy design of previous boat blocks. 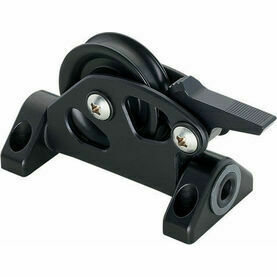 The rollers stay parallel for low-friction efficiency, whilst the sculpted hardcoat-anodized aluminum sideplates help protect sideload ball bearings.